Fish ROE are byproducts, they can be used in the preparation of minced fish, various pates, mincemeat and fish casseroles. Particularly tasty ROE of salmon. In Molokai a large number of vitamins, so don't throw them away when gutting fish, and prepare something delicious. First, the milt can be added to fish mince when cooking. 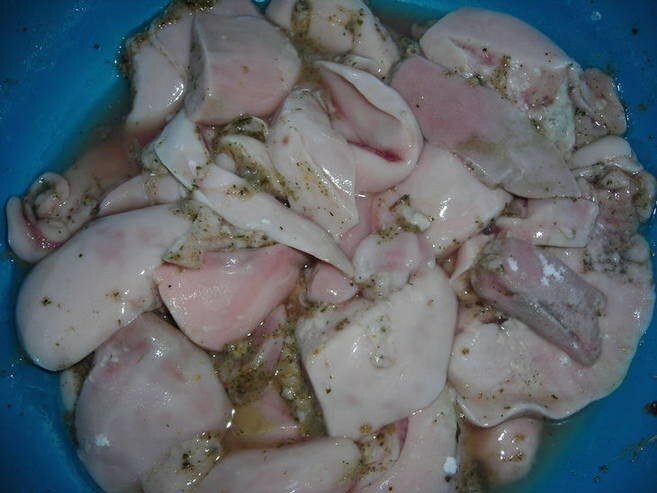 Pass them through a meat grinder together with meat of any fish, previously cleaned of bones. Further, following the recipe, form round patties and cook in a double boiler, or roll in flour, fry in a frying pan. Also from milk you can prepare a simple and satisfying salad. You need to take boiled potatoes, pickles, carrots, onion, mayonnaise and herbs and spices. Milt boil for about 10 minutes in salted water, then chill. While milk cools, you need to fry onion and carrots, and in the end, add chopped pickles. Browned vegetables before mixing, too, should be cool. Then you will need to slice the cooled milk to the potatoes and gently mix the ingredients. This salad is filled with mayonnaise. Also milk can be baked. For baking you will need fresh milk, tomatoes, 1 teaspoon of salt and the same of lemon peel, spices, herbs, 1/4 Cup of dry white wine, butter, breadcrumbs. Grease the form with butter, then laid her flushed milt. Up you need to put chopped tomatoes and herbs. Don't forget to salt and pepper. Then pour in the white wine, sprinkle the top with breadcrumbs and put in pre heated oven for 10 minutes at 200 degrees. 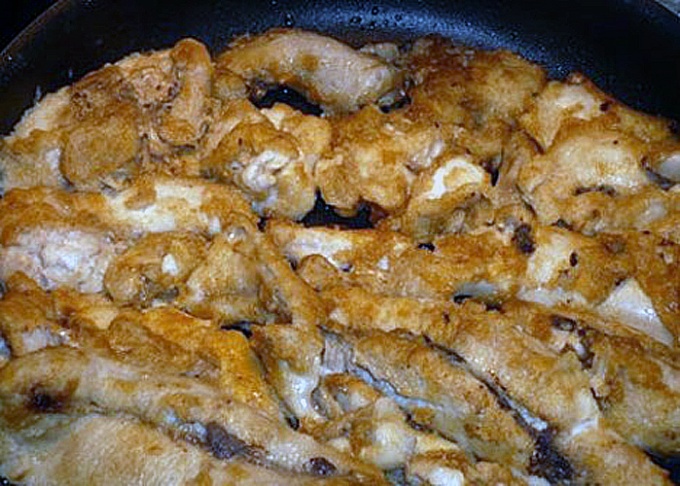 Fried soft ROE is prepared differently. The ingredients you need quite a bit: milk, flour, salt and butter. Milk need to be washed, dried, cut into small pieces. Then roll them in flour and quickly fry in a large amount of butter. For obvalivanie milk in flour before frying is the secret. You need to put some flour in a plastic bag and put milk, and then repeatedly shake vigorously. So they will be evenly sprinkled with flour, and your kitchen will remain clean. After frying, put the pieces on a paper towel to let excess oil drain out. Serve fried ROE with vegetables and any other side dish. Use to eat only fresh milk. Fish ROE has long been appreciated not only for its special taste and useful properties. There are plenty of dishes of milk, and in some countries this product is considered a real delicacy. Fish milk is good for both adults and children. Milk consist of proteins and fats and almost no carbohydrates. The product itself is enough calories in 100 g of milk contains approximately 100 calories. The fat contained in Molokai enriched with a variety of nutrients, including fatty acids of the omega-3 group. They are irreplaceable at diseases of the cardiovascular system, prevent the occurrence of stroke, heart attack, atherosclerosis and many other ailments. By the way, the highest concentration of fatty acids contained in Molokai sturgeon and salmon. Proteins-provitamins contained in Molokai fish that can prolong the action of certain drugs. Interestingly, some amino acids can be isolated from the provitamins. For example, glycine promotes the active brain activity and is often used in neurology. From sturgeon milt get salt DNA. But, solution of this salt, used by physicians as an immunomodulator. In other words, such a drug improves the immune system of the patient. Thus the solution Derinat is able to heal sores and wounds to prevent bleeding. Along with this, it is effective in viral respiratory infections, sinusitis, rhinitis and other respiratory diseases if you use it from the moment of infection. Useful properties of fish milt is even applied in the cosmetology field. And milt, and eggs contain a great nutritional potential, which makes them a valuable tool to maintain youthful and healthy skin. DNA fish milt is present in many cosmetic products "Mirra Lux". 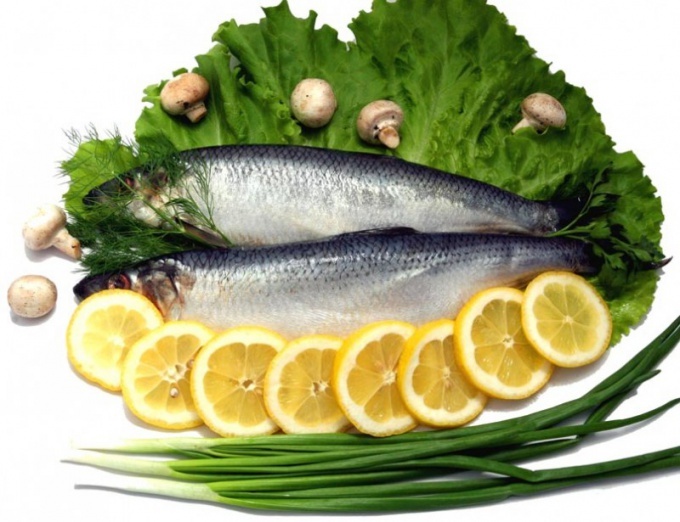 Extracted from fish milt substances are widely used in the manufacture of dietary supplements. For example, the drug "brain-o-fleks", which produces the company "VISION", included the ROE of the sturgeon. This drug can enhance performance, improve brain activity, concentration. And dietary Supplement called "Biosinol", which includes DNA from salmon milt used to treat stomach ulcers. In addition, it is effective in dealing with stress. It should be noted that useful fish ROE be if they correctly processed and cooked. After all, with certain methods of cooking, most of the useful properties may simply disappear.